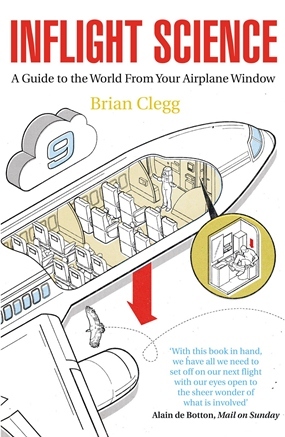 It was the day after the Asiana Airways crash in San Francisco that I was browsing in the Bookazine in The Avenue and spotted this book called Inflight Science (A Guide to the World from your Airplane Window), written by Brian Clegg (ISBN 978-184831-305-7, Icon Books, 2012). My interest was piqued immediately. Clegg does not reveal much of himself, other than the fact that he is a science writer, an author and runs a website. However it becomes very obvious he knows his science. He begins with some comforting statistics. For example, the risk of being killed in a plane crash in any year is 1 in 125 million passenger journeys. The risk of being killed in a car crash is 1 in 10 million, making plane travel 12.5 times safer than road travel. He goes through the reasons why planes run on avgas, and not electric power or hydrogen, bringing out the fact that hydrogen is six times more bulky in storage, and 10 kg of avgas in energy is equivalent of one tonne of batteries. With weight being a crucial factor in air travel, “You aren’t going to see electric airliners any time soon,” opines author Clegg. From the air, Clegg suggests you look out of your porthole and see if there are any crop circles as you fly over farmlands. There has been much controversy over this phenomenon, with the ‘extra-terrestrial’ believers ready to expound theories. Unfortunately, these are man-made, and Clegg even reveals the names of the two farmers who made the first one, and exactly how they did it. After debunking the crop circles he continues on to the Nazca lines in Peru, and also shoots down the outer space theorists. Since, in one’s airliner, you are flying through the clouds, this book explains just what clouds are, why they carry water, differentiates the different types, and even gives the rational explanation for the phrase “cloud nine”. Volcanoes and volcanic ash are looked at critically, with data from the eruption of Krakatoa in 1883. For those of us not around at that time, 20 cubic kilometers of ash and rock were thrown 80 km into the air, somewhat dwarfing the Icelandic eruption recently. Clegg feels that the aviation industry perhaps was overcautious at that time, but let us hope there are no more! Clegg deals with electronic devices and whether or not they represent a danger. They don’t. At B. 495 in Bookazine, I found this a fascinating book. There are so many facts brought to light, in a fascinating way! 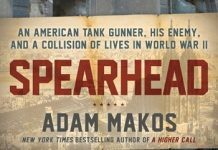 Many items are only tenuously connected to airplanes, but are presented in such a manner that the reader continues to devour fact after fact. It is almost a complete text book, presented in such a way that there are no boring equations, only interesting items. The addition of scientific experiments, some which the author warns cannot be duplicated at home, involves the reader even more. A complete science program condensed into 204 pages. This should be compulsory reading for later year school students, and as a weekend read for adults with an enquiring mind.